Welcome to The Central Wellness Coalition - home on-line. 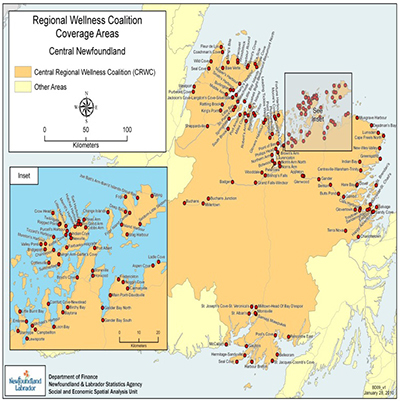 The Central Wellness Coalition is one of six wellness coalitions in the province of Newfoundland and Labrador (NL), Canada. 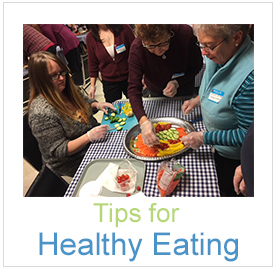 We are a group of likeminded community groups, organizations, government and non-government agencies who partner and work together toward common goals that promote health and wellness. Our vision is that all residents of central NL will enjoy optimal health and well-being. 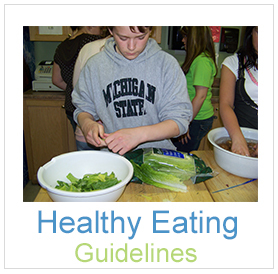 Our areas of focus include healthy eating, physical activity, mental health, injury prevention, healthy environments, tobacco control, health protection and child and youth development. The Central Regional Wellness Coalition is guided by a steering committee of 10-15 members and supported by the Department of Children, Seniors and Social Development and by Central Health. We serve all communities (approximately 145) and all people (approximately 100,000) within central Newfoundland. We are one of 6 regional coalitions throughout the province. Our region extends from Charlottetown in the east, Fogo Island in the north, Harbor Breton to the south and Baie Verte to the west. We serve the same geographical area as Central Health. We provide opportunities for people to become involved in community action around the issues that affect their health and well-being. These opportunities can include: funding, education, networking, support and resource material. Each year the CWC provides approximately $35,000 in funding to community groups to support health and wellness initiatives, activities and programs. This money is distributed in various ways including the popular “community grants” and “community initiatives funding”. Click on the links to learn more about these programs and how you can apply.